B2B marketers can learn a lot from their B2C colleagues and should consider adopting and adapting some of their successful consumer marketing strategies. 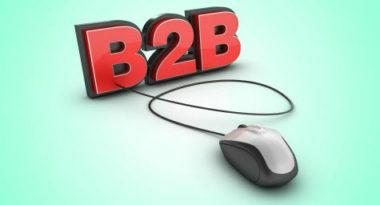 This practice of applying B2C practices to B2B plans has become so frequent in the IT industry that those efforts are commonly called the “consumerization of IT.” There’s no denying that many B2C companies have mastered the art of cost-effective marketing to mass audiences, in addition to simplifying the buying process and offering transparent pricing to consumers. Now, B2B marketers can benefit from the triumphs and trials of these B2C businesses by applying the marketing approaches that best suit their needs. To help businesses consumerize their B2B marketing, Software Advice suggested the following four strategies. 1. Invest More in Marketing and Spend Less in Sales – Some B2C companies have discovered valuable techniques for maximizing their marketing in order to decrease their sales budgets. One IT company provides clear and comprehensive product information, free trials, demos, testimonials, and more on their website to decrease their reliance on their sales team. That company has also has fixed prices, which eliminates the need for lengthy price negotiations with salespeople and subsequently speeds up the purchasing process. Finally, that business offers free product trials to promote consumer usage and also accepts credit cards online to make purchasing as simple and stress-free as possible. 2. Offer a Free Trial Time – Speaking of free product trials, these have become powerful drivers of consumer usage and purchase. Since no B2B company wants to give away their products completely for free, many B2B businesses have had success with offering free trials for a limited time period. They understand that users will devote their time and energy to using and incorporating these free tools into their business efforts and will not want to throw away the progress that these tools have helped them accomplish. One B2B company believes that free product trials help lower the level of consumer resistance to new products and actually have made these free trials the focus of their marketing messages. Since the hardest part of a sale can often be initial consumer acceptance, the fact that users have been willing to try the product makes them much more likely to buy. 3. Promote Advocacy via Games – New game-oriented technology is making it easy for marketers to transform customers into advocates. 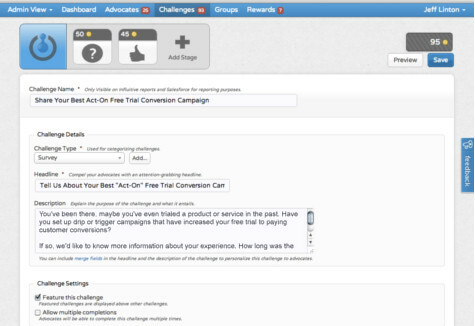 These games are designed to get customers more engaged in the B2B company’s marketing efforts. Some of these games let companies create fun challenges for their customers to complete in return for points that can be redeemed for prizes. Other versions encourage customers to provide feedback on their personal experiences with products as a way to foster communication and strengthen relationships. All of these activities share the goal of increasing consumer engagement as a way to strengthen the bonds between companies and consumers. 4. Make Educational Marketing More Fun – Some businesses are turning their B2B marketing into actual games with the help of creative gaming software. These games let companies educate consumers about their products and services under the guise of a game. This approach has proven very effective for increasing consumer engagement, conversions, and qualified leads. The lines between B2B and B2C marketing are blurring more and more each day. As a result, it is expected that many more B2B companies will start to integrate proven B2C concepts in an effort to consumerize their marketing strategies and increase both sales and satisfaction. To learn more about the latest trends in B2C and B2B marketing, contact MDG Advertising today at 561-338-7797 or visit mdgadvertising.com. MDG Advertising, with offices in Boca Raton and New York, NY, is a full-service advertising agency and one of Florida’s top digital marketing companies. MDG specializes in developing targeted Internet marketing solutions, exceptional creative executions, and solid branding and media-buying strategies that give clients a competitive advantage. Our core capabilities include award-winning print advertising, branding, logo design, creative, digital marketing, media planning and buying, radio and TV advertising, Web design and development, email marketing, social media marketing, and SEO. View MDG Advertising’s creative marketing portfolio.